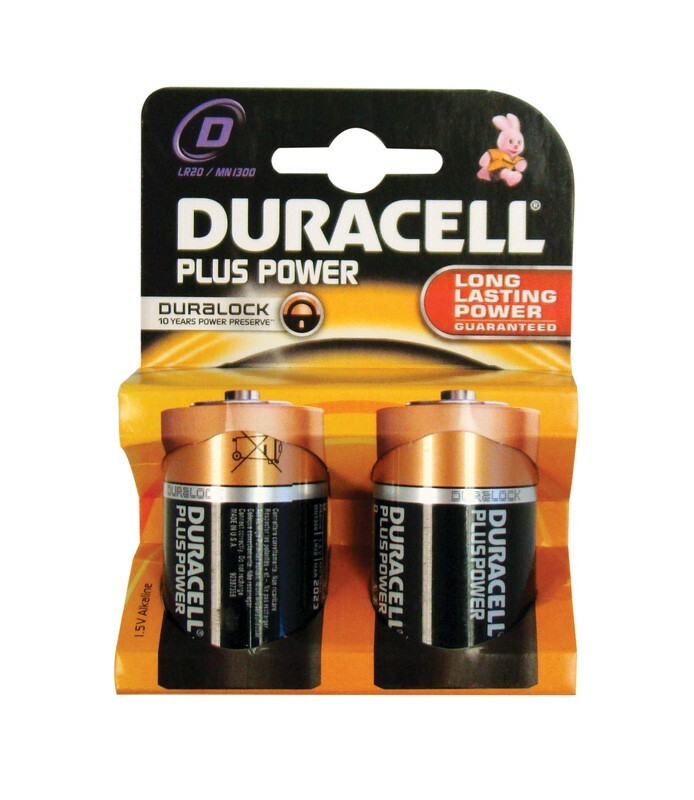 Duracell Plus MN1300 Type D 1.5v alkaline batteries provide long lasting dependable power and quality across a wide range of everyday appliances. They offer improved performance and last longer than regular batteries, incorporating select Ultra technologies to deliver significantly improved performance. Higher capacity and maximum current output than zinc chloride and zinc carbon batteries. 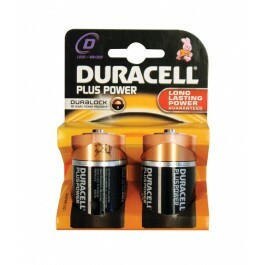 Sold in blister packs of 2 batteries.